Location : Earth, TASTY SMASH CHAMP. Hey TastyClan! This weekend at my dads house, (If you have been there) Were throwing a little clan meet/ gaming event. 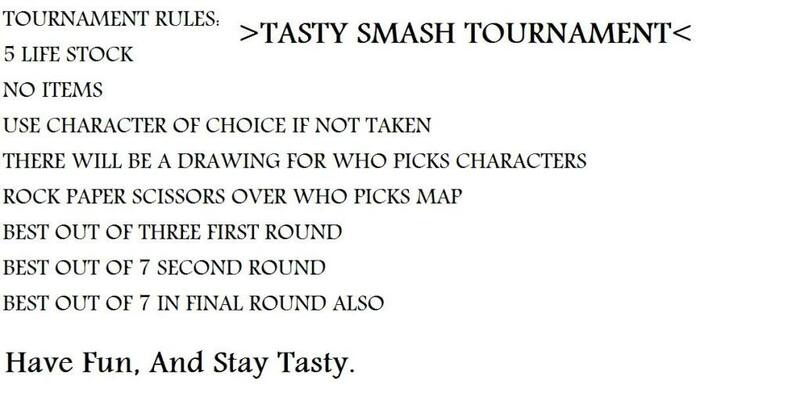 Ive planned a little tourney if all's willing to play, i was thinking of a little SUPER SMASH BROS MELEE.. Yes i said melee, its way better than brawl thats for sure. If you guys are willing to participate in the smash tourney let me know on this post or let me know at school. Let me know ahead of time if your coming too because i need to let my dad know what and who is coming.. if you dont let me know before then you cant come SORRY! 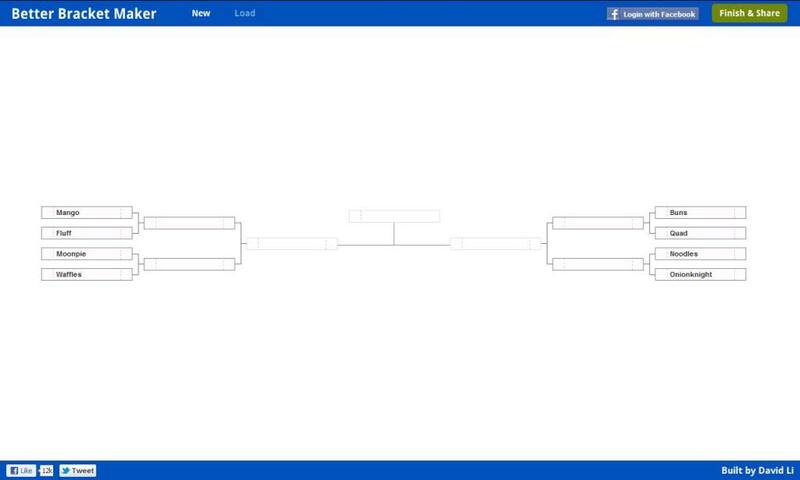 Also i will be posting a tourny bracket on the site once i get everyone whose coming. As of right now at my dads i will have running, One xbox with 2 controllers with fighting games such as (Naruto: Ultimate Ninja Storm 2, Street Fighter 4, ETC) And One Gamecube with 4 controllers with fighting games such as (Smash Bros.. OF COURSE) Zatch Bell: Mamodo Battles And others! Oh yeah and ONE PIECE (Austins favorite game that he creams on)... AGAIN people let me know whats going on so i can let the parents know. PS. A BELT IS BEING AWARDED TO THE WINNER, AND WITH A MILKSHAKE. 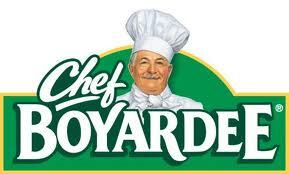 Have Fun, And Stay Tasty. i will be there, ready to destroy all in super smash? This is the bracket people! Get ready! THESE ARE THE RULES AND WILL ALSO BE PRINTED OUT AND HANDED OUT ON THE DAY OF THE TOURNEY.